Cooling off after the long summer heat, come join us for another spectacular evening of jazz, swing, gypsy and soulful melodies at the sophisticated dot&blue Akasaka to welcome the romance of autumn. 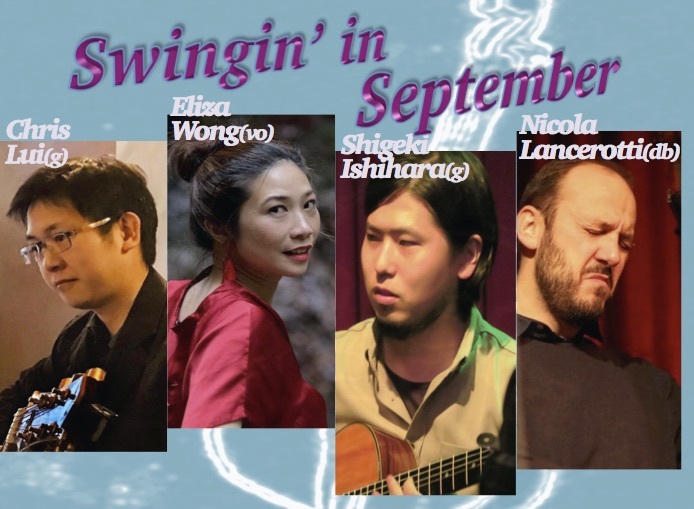 Onstage, join Eliza Wong (vocals), Chris Lui and Shigeki Ishihara (guitar) and special guest from Italy, Nicola Lancerotti (double bass) on his Japan debut! Jam session follows on the second set, so feel free to bring in your musical talent, and get ready for Swingin’ in September!! !